The stories of immigrants achieving success by making the foods of their native lands are parts of the history and social fabric of the United States. 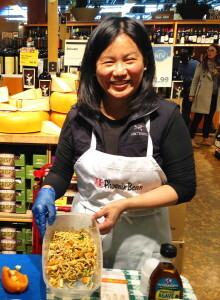 But Jenny Yang of Chicago's Phoenix Bean tofu has an immigrant food story with a modern twist. While millions of people have come to America to escape poverty or oppression, Yang first came to the U.S. from her native Taiwan a quarter-century ago in pursuit of higher education.